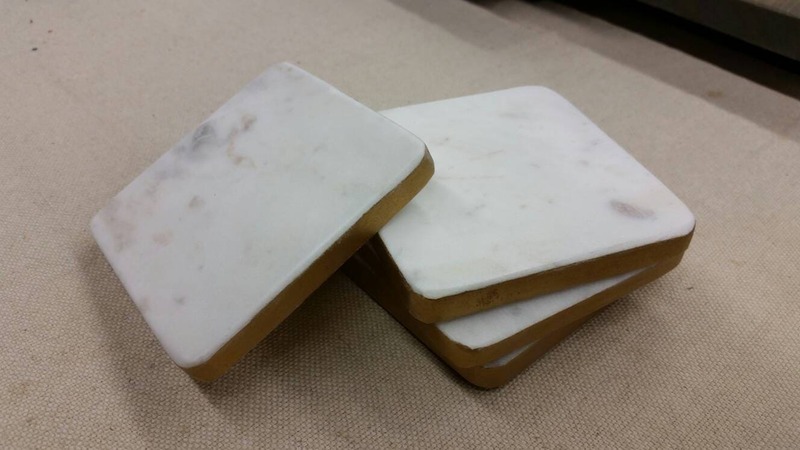 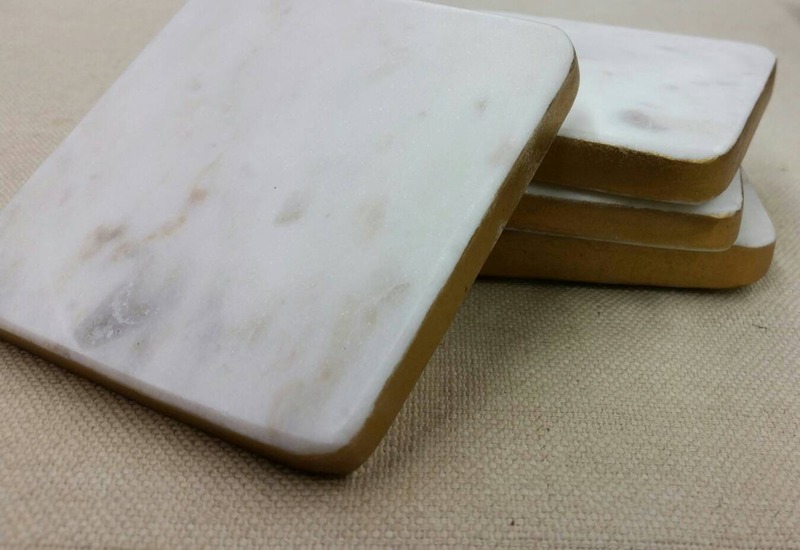 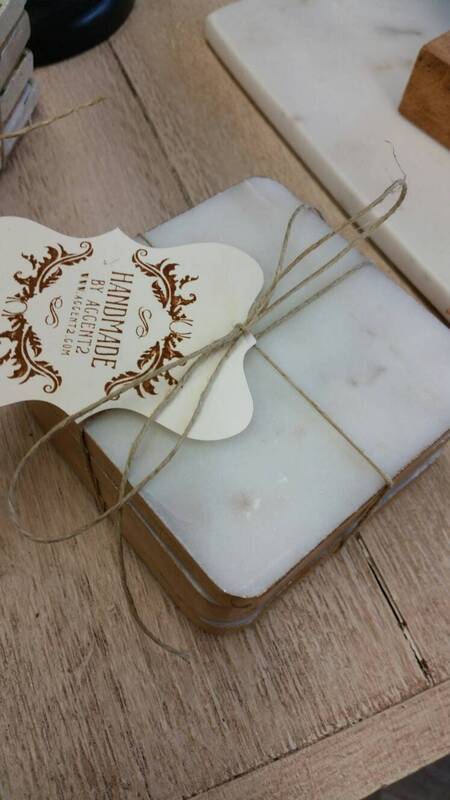 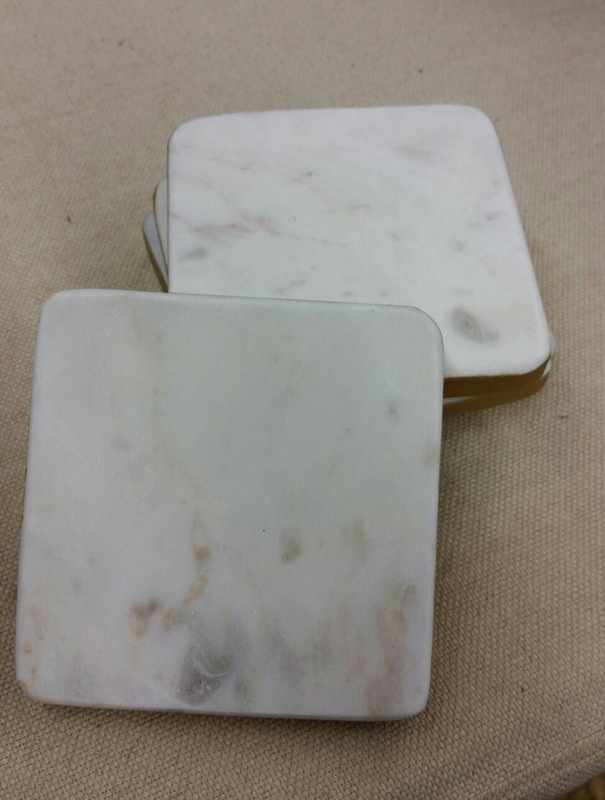 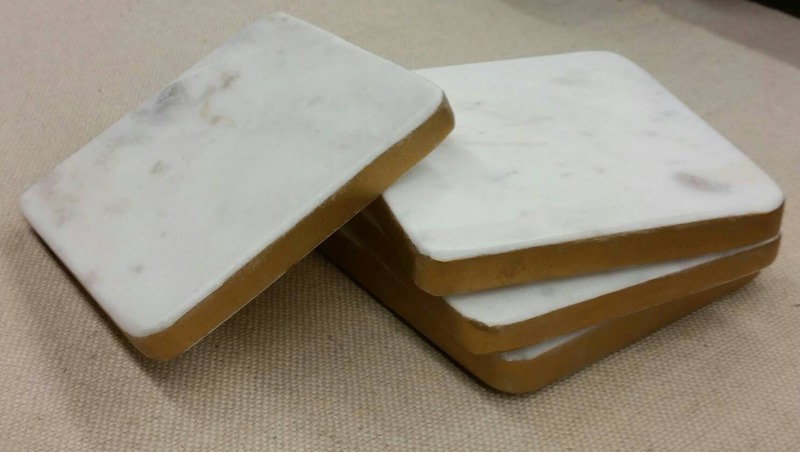 Square 4" White Carrara - White marble coasters with gold leaf edge. 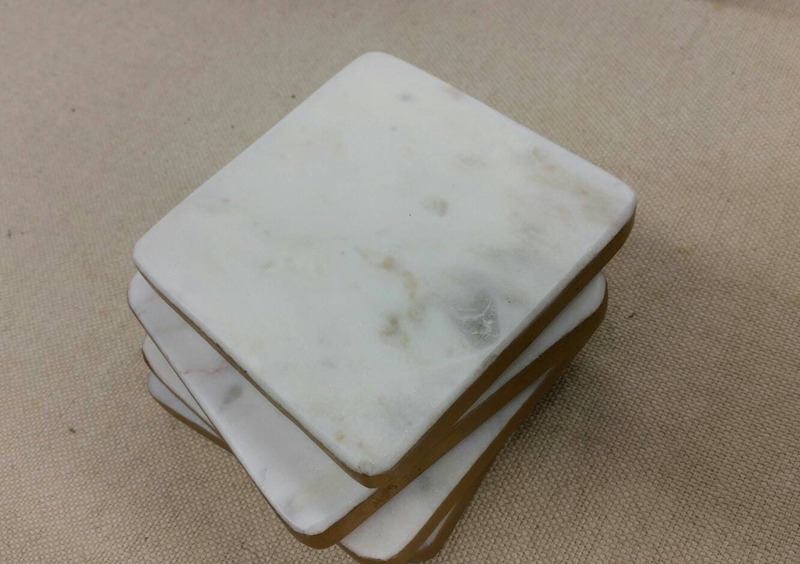 Each one has protective pads on the bottom side so the won't scratch your furniture. 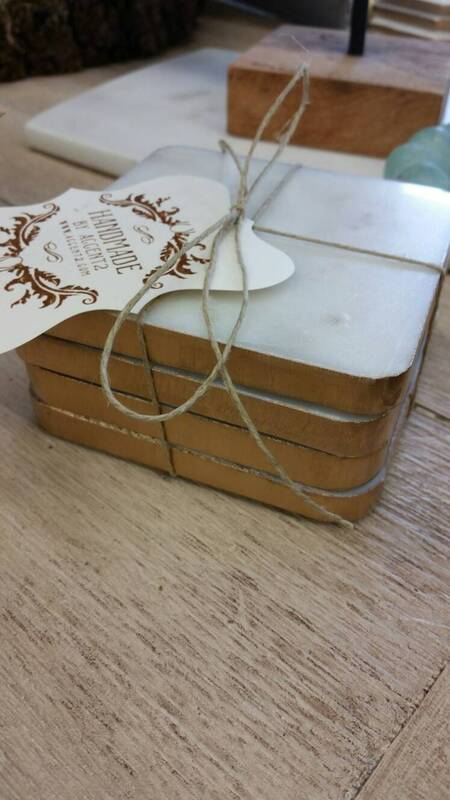 Set of four would make a great house warming or hostess gift.